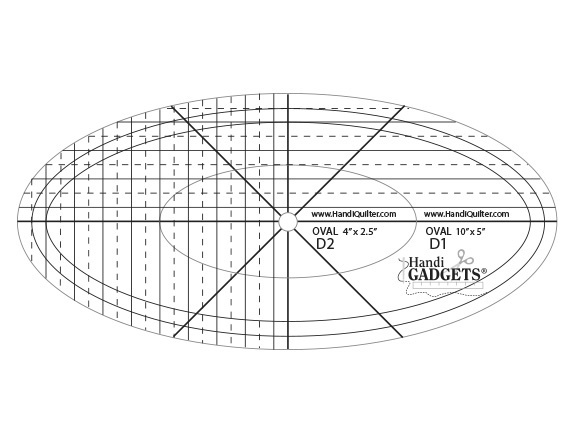 HQ Oval 10″, 4″ is made from .25-inch thick quality acrylic. You can use the HQ Oval Set D to make curved lines, flower blocks, and looped border designs. It comes with 10″ and 6″ templates. 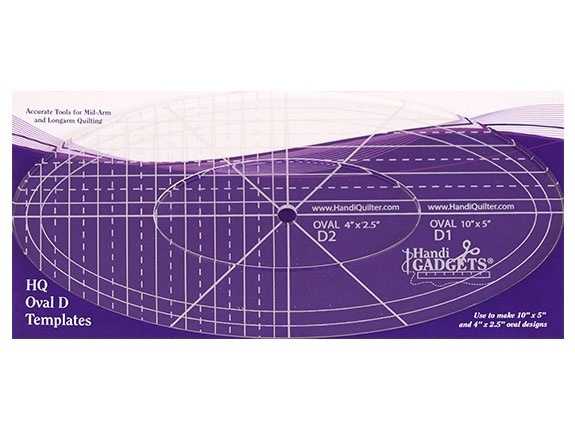 The ruler packaging includes instructions for use, safety tips and design ideas. For use with the HQ ruler base.